Italian researchers have painted a grim picture of donkey breeding in Europe, saying most European breeds are under threat of extinction. The University of Pisa’s Francesco Camillo and his colleagues, writing in the Journal of Equine Veterinary Science, described interest in donkey breeding in Europe as very marginal. Donkeys are still being used to work in some areas in Europe where it is not feasible to work with machines. Donkey stocks in Europe had reduced by more than 80% since the middle of last century due to the mechanization of agriculture and transport. The last 20 years had seen a 50 percent decline in numbers. During this time, no attention was devoted to breeding selection and biodiversity, with the result that most European donkey breeds were under threat of extinction. Remaining donkeys in Europe were employed for niche purposes as mule production or for the maintenance of soil and landscape, they said. Their review, which explored the current situation and trends within the European industry, noted that consumption of donkey meat was not popular in Europe, with only a few animals sent to slaughter. However, interest is growing in Europe for donkey milk, mostly for human consumption, but also for the production of beauty products. Social and leisure uses were marginal areas of donkey employment, they said. In Croatia, donkey milk is sold for about €6 for 100ml. 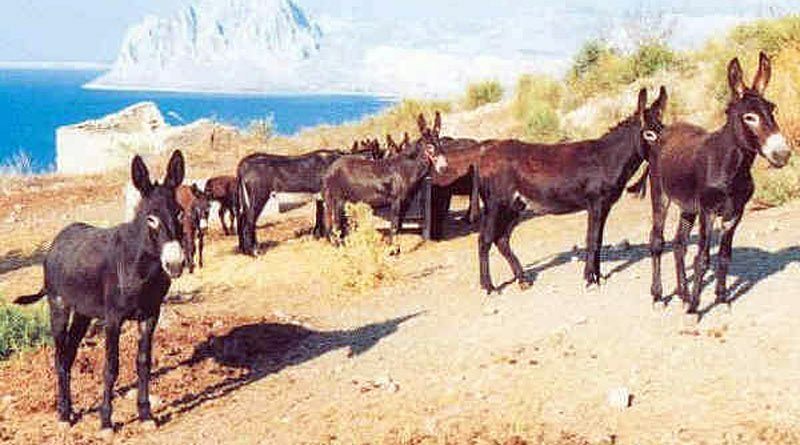 Despite the fact that interest in donkeys in Europe was limited, and that little or no funding for research was provided from national or European authorities, about a third of scientific papers published on different aspect of donkey sciences in the last 20 years were produced in Europe, they noted. The review team comprised Camillo, Alessandra Rota, Matteo Tesi, Diana Fanelli and Duccio Panzani, all from the University of Pisa; and Lorenzo Biagini, from the University of Florence. The Asini di Pantelleria is bred on the island of Pantelleria to the south-west of Sicily. They can move in a tölt gait, like the Icelandic horse.